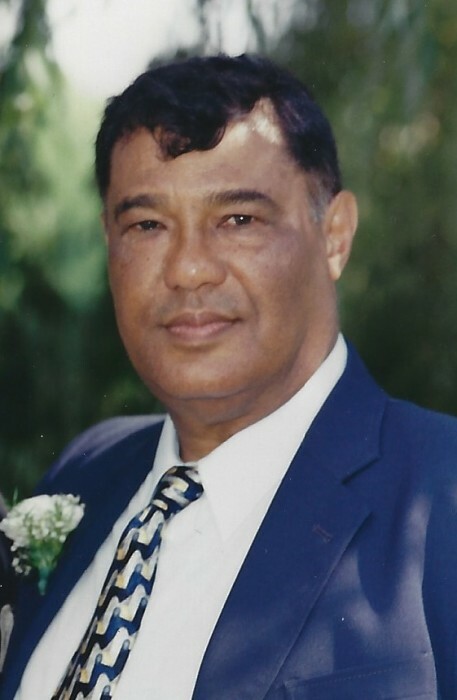 Obituary for Edgar Leiba | In Memoriam Funeral Services Inc.
LEIBA, Edgar Michael John “Junior” - Passed away peacefully in his 76th year on February 5th, 2019, 7:47 pm at Brampton Civic Hospital, Canada, after a bravely fought battle with cancer. Junior leaves behind his wife Yvonne Leiba (nee Castillo) and their children Sean, Sheldon, and Sally-Ann, and his siblings Jennie Thomasos (Garth), Grace Moore (Leonard), Sandra Ali (Israfil), Hazel Linley (Dorian), and Trevor Leiba (Debbie). Predeceased by his parents Edgar and Charlotte Leiba (nee Ahow), sisters Maureen Des Vignes (Desmond) and Brenda Lee (Michael), and brothers Clive and Wilton. Loving grandfather to Aliya, Justin, Isabelle, Shaydon, Kaitlyn, Lillian and Leah, and uncle and grand uncle to many. Junior was born in Port-Of-Spain, Trinidad, and grew up on Cipriani Blvd, and attended St. Mary’s College where he played football and cricket with many of Trinidad’s finest. Junior earned a degree in Business Administration from Ryerson University in Toronto and he worked as a Marketing Executive for Nestle, Lever Brothers, Johnson & Johnson, Trinidad Cement Limited and Grell over his career. Trinidad remained in Junior’s heart throughout his life, and he enjoyed all aspects including sports, culture and the arts. Junior’s funeral will be held on Saturday February 9th at 12 noon, at St. Mary’s R.C. Church in Brampton, Canada, with an additional service to be held in Trinidad, with details forthcoming.